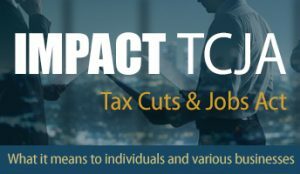 The Tax Cuts and Jobs Act (TCJA) enacted the most comprehensive changes to the US tax system since 1986 and dramatically altered the US taxation of corporations and individuals. The ramifications are far reaching, complex, and, on occasion, bewildering. As guidance on the law continues to be released, the Berdon LLP Tax Team is bringing clarity and insights to the impact of the TCJA with an ongoing series of analyses of various aspects of the Act and what they may mean for you, your family, and your business. Click here to tap into their expertise.